Elaine Herzberg may be the first pedestrian to die in a collision with a car equipped with semi-autonomous technology, but she’s not necessarily the first bystander. For several years, motorcyclists and bicyclists have raised questions about cars currently being tested, as well as the autonomous cars that the industry promises will come in the future. Those questions haven’t always been answered. Fred Heppell, an avid British cyclist who had ridden on bike tours all over the world, still cycled at the age of 80. He was reportedly riding on a straight country road in November 2017 when a Tesla Model S 90D struck him from behind. The accident killed him and raised concerns among international road riders about whether the Tesla had been in “Autopilot” mode at the time. “It's the first time we are aware of a cyclist being killed in a road traffic collision involving a car capable of semi-autonomous operation, certainly in the UK,” reported road.cc, an online bicycling publication targeted to road riders. Whether the car’s Autopilot feature was in use during the time of the crash has not been disclosed by the police or Tesla. The case received little attention outside of British or bicycling media, and almost none in the United States. ConsumerAffairs has sent Tesla’s press team numerous messages asking for an update on the case and whether they determined if Autopilot was engaged at the time. The company has not responded to any of the messages. The Durham Constabulary, the police agency in England responsible for investigating the crash, declined a public records request from ConsumerAffairs asking for an accident report and the agency’s communications with Tesla. Two months after the crash had occured, the police indicated to ConsumerAffairs in their response that the information could not be released because it was still under investigation. The autonomous vehicle industry, an unlikely coalition of established automobile companies and tech start-ups, has sold many cyclists and motorcyclists on the promise of rational, computer-controlled vehicles, free from road-rage or driver error. But when it comes to specifics, cycling and consumer advocates say they still don’t know what steps the industry is taking to ensure their safety. The League of American Bicyclists, one of numerous cycling groups asking for more information about autonomous cars, is currently lobbying Congress to require a “vision test” on all semi-autonomous or fully-autonomous cars before they can be deployed on public roads. “When human drivers apply for a driver’s license, we have to pass a vision test...automated driving systems should first have to pass a ‘vision test’ as well,” the cycling organization writes on its website. Better than relying on humans? Phil Koopman, a Carnegie Mellon University robotics engineer and researcher who has studied automotive technology for years, counts self-driving car companies among his clients (though he cannot name specific brands he works with). He says that the safety of self-driving cars around cyclists all depends on what companies are currently doing to gather data about them. For example, he says cars could very well be learning about cyclists through careful simulation on a closed course. He is less optimistic, however, about a hypothetical scenario in which the cars are only learning about cyclists by driving on public roads. Many bike commuters are hopeful about the technology because they can’t imagine their commutes getting more dangerous than they already are. “When we bring up the subject [with riders] its either, it's going to be the worst thing that's ever happened, or better then letting the humans do it,” says Tony Bartholomew, a manager at SF Moto, a motorcycle dealership in San Francisco. Bartholomew has been commuting to work on his motorcycle in the Bay Area for over two decades. He thinks that a car controlled by a computer will make his route safer. “I’m convinced that most people in the car aren't interested in driving well,” he tells ConsumerAffairs. "If you take the human out of the equation, suddenly now cars are going to do things that are more predictable,” unlike people, whom he has found to be notoriously unpredictable on the road. But cycling commuters who closely follow self-driving car policy worry that the same biases that make humans drive dangerously around bikes will now cross over to the technology they create. Engineers who study self-driving cars have acknowledged that bicycles -- the kinds without motors -- currently pose a unique challenge to their detection technology; one researcher contracting with Waymo told the publication IEEE Spectrum that bicycles are probably the most difficult objects for the cars to detect. Even though the autonomous vehicle industry has acknowledged this shortcoming, its proposed solution isn’t exactly assuring to bicycle commuters. In electronics shows and media interviews, engineers working with Ford and Waymo have proposed unveiling technology that allows bikes to “talk” to cars, or equipping bike commuters with sensors that the self-driving cars can scan and read. The European Cyclists’ Federation, though optimistic about many potential safety features in self-driving cars, says that such sensors would shift the burden of avoiding a crash to the most vulnerable road users. Nevertheless, his organization has joined the autonomous vehicle industry in a lobbying effort to encourage Congress to quickly pass the AV Start Act, a controversial law that would expand autonomous vehicle testing programs across the country. American Motorcyclists Association’ lobbyist Michael Sayre tells ConsumerAffairs in an emailed statement that his group supports the Senate version of the bill because it “specifically includes motorcycles in its language” and because it requires vehicle manufacturers to file safety reports that address motorcycles. At the same time, he also expresses concerns that automated technology could lead to distracted driving. Long-term policy aside, riders are also grappling with what semi-autonomous cars or “driver assist” technology means for their commutes in the present. The technology has already been rolled out on public roadways, either in the form of Tesla’s “Autopilot” feature, the “Adaptive Cruise Control” feature used by numerous brands, or the actual tests being conducted in California, Pennsylvania, and Arizona. Dozens of car companies have plans to test autonomous vehicles on public roadways or are already testing them. Some accidents or close-calls that happened mid-test have caused riders to push back against regulators who allowed the technology to flourish. In another case that received little attention in the United States, a Norwegian motorcyclist was struck from behind by a Tesla on July 27, 2016. Local media reported that the car’s Autopilot had been engaged at the time. The motorcyclist suffered serious injuries in the crash, according to the Federation of European Motorcyclists. The organization sent Dutch regulators a letter later that year, pointing to a study presented by researcher John Lenkeit at the International Motorcycle Conference in Germany. 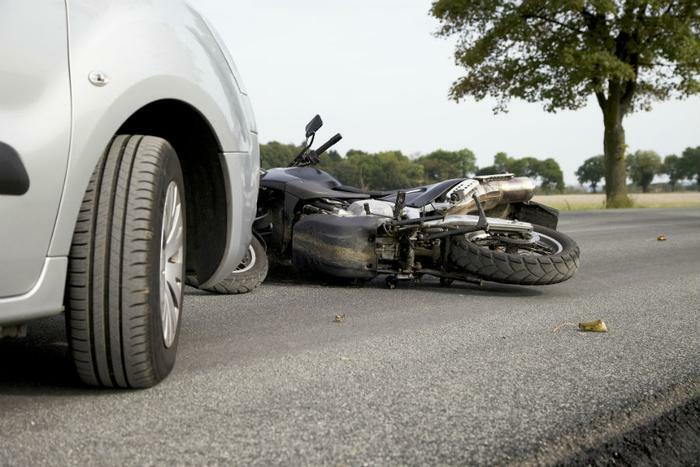 Lenkeit’s report claimed that forward collision warning systems installed in cars did not detect motorcycles in 41 percent of test cases. Passenger cars, by comparison, were not adequately detected only 3.6 percent of the time. The Netherlands Vehicle Authority, which is responsible for testing and approving Tesla cars before they can be sold in the rest of Europe, agreed to launch several studies in response to the motorcyclists’ inquiries. Most recently, the agency published a report about the visibility of motorcyclists to adaptive cruise control, or the technology currently deployed not just in Tesla but in numerous other car brands. The technology is marketed as a cruise control feature that “automatically” switches to a safe, slower speed when road hazards appear. When it comes to testing autonomous prototypes, Europe has taken a more cautious approach than the United States. Regardless, some riders in the San Francisco area, the epicenter of autonomous testing, would disagree. General Motors takes credit for operating the largest fleet of semi-autonomous test vehicles on San Francisco roads, with over 100 Chevrolet Bolt cars currently deployed with the help of human testers. On December 7, motorcyclist Oscar Nilsson was riding in the city’s Hayes Valley neighborhood when he collided with one test Bolt as it was operating in autonomous mode. In a statement to Jalopnik earlier this year, General Motors noted that the San Francisco Police Department blamed Nilsson for the collision. The police report said that he had merged into the center lane before it was safe to do so. San Francisco Bicycle Coalition Executive Director Brian Wiedenmeier made a prophetic warning in late 2016, after Uber officials had tried to engage with the cycling community by inviting him to be a passenger in an autonomous test ride. “I can tell you firsthand: those vehicles are not yet ready for our streets,” Wiedenmeier wrote in a warning to San Francisco cyclists. During the ride, Wiedenmeier says he noticed that the Uber Volvo he was traveling in had twice made right-hook style turns into the bike lane, a traffic maneuver that bike commuters say is dangerous and repeatedly made by human drivers. Two days after the uncomfortable ride, Uber announced it was expanding its test program in San Francisco, to the surprise of Wiedenmeier, who says cycling advocates were not consulted about the decision beforehand. His group subsequently organized a protest against Uber, and state regulators not long after warned the company that it needed to register its cars and get permitted under California’s self-driving program if it wanted to stay there. Instead, Uber left the state for Arizona, whose governor had publicly told the company that it had fewer regulations. (Though Uber later returned and had been operating in both states before suspending operations after the pedestrian fatality). Since that time, Wiedenmeier tell ConsumerAffairs that "autonomous vehicles have been behaving on the road extra cautiously,” when he encounters them on his commute. “If anything, they have been slow and cautious to a fault." Like other bike commuters, Wiedenmeier likes the idea of eliminating human error from the equation. But he is also unimpressed with the industry’s current proposal to someday equip all cyclists with sensor technology. In their own safety reports, self-driving leaders Waymo and General Motors have both described measures they are taking to keep cyclists safe. But asked about statistics -- specifically, what percentage of the time their forward collision systems technology detects bikes or motorcycles -- neither company’s press team responded to messages from ConsumerAffairs. Koopman, the engineer who studies self-driving cars, says that reports generated by the companies themselves are the only documentation of their safety around bikes that consumers currently have. As far as what led to Uber’s pedestrian fatality, he can only speculate, noting that Herzberg was walking her bicycle across the road before the crash. Ideally, he says, self-driving technology is currently getting “shown” pictures of both riders as well as pedestrians standing next to their bicycles.